Want a new spot to find some nature renewal with your family? We've unearthed 12 wonderful, lesser-known gardens that have something special to offer kids and families, from a garden designed to teach about honeybees to a pocket park that's also a cosmological adventure to a garden where the elderly and children work side by side. Follow us on a dirt path to some of the Seattle area’s secret gardens. 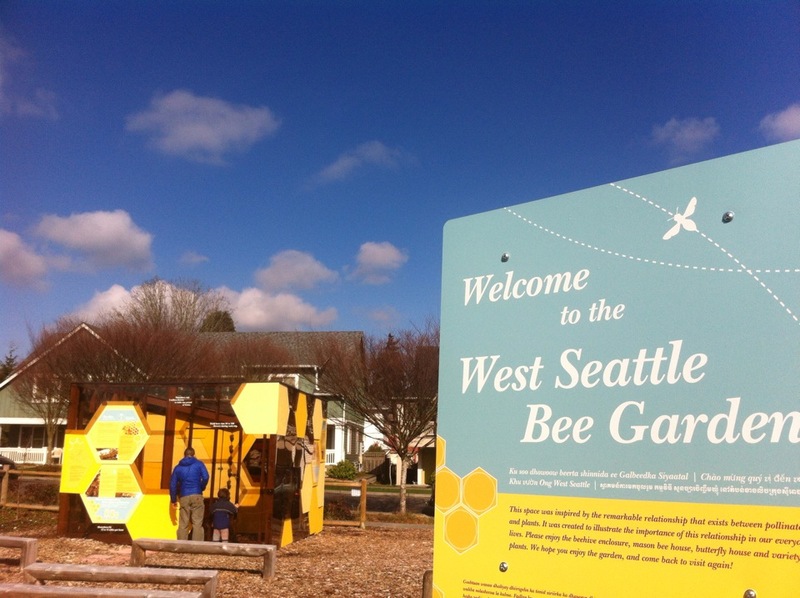 The West Seattle Bee Garden is a must if your kids are curious about honeybees, especially if you want to observe them from a safe distance away. The centerpiece of the park is two hives nestled within an enclosure. 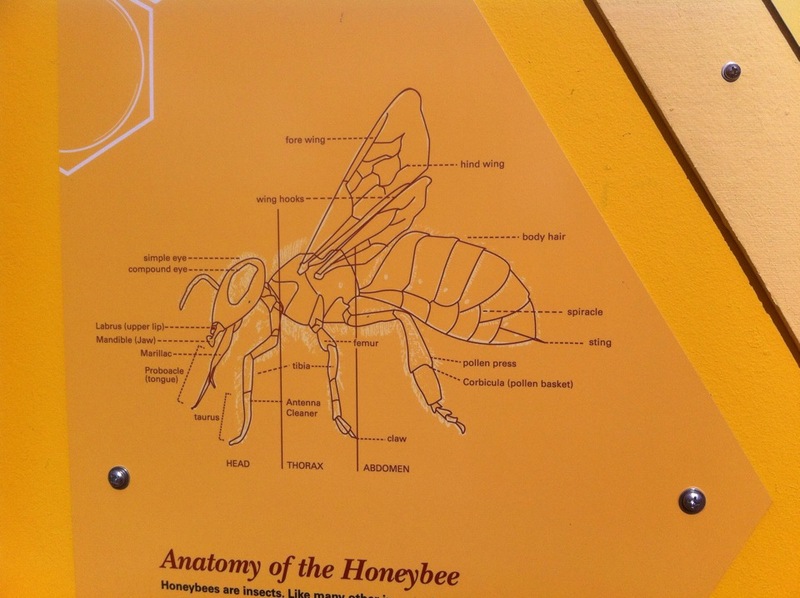 The enclosure is covered in hexagonal panels that list fascinating bee facts. The honeycomb-style structure is located in a community garden (called a P-Patch) with a playground nearby and a large community green space. Be sure to take the short walk a few blocks away to S.W. Raymond St. and 31st. Ave. S.W. to Viewpoint Park for an amazing panorama of the Seattle skyline. When I’m working in my garden in the summer, there’s a big old mystery that I have always wanted to understand: exactly how far south and north does the angle of the sun change as it moves across the sky seasonally? To my surprise, I found the answer perfectly laid out in a visual example at Fremont Peak Park, a small park located in North Seattle about 10 blocks from Woodland Park Zoo. There it was, a sculptural Y embedded in the view terrace, with legs pointing to the locations of the sunset at the winter and summer solstices. Entering Fremont Peak Park begins a mythological and cosmological adventure. You will be encouraged to travel through a labyrinth and by the end, blooming roses, tall trees and a view of the Olympic Mountains may surround you. I recommend you visit to discover it on your own, but you can also read about the inspiration for the park design. Now I understand why Fremont Peak Park was recognized as one of the 45 best public art projects in the United States at the 2008 Americans for the Arts annual convention. 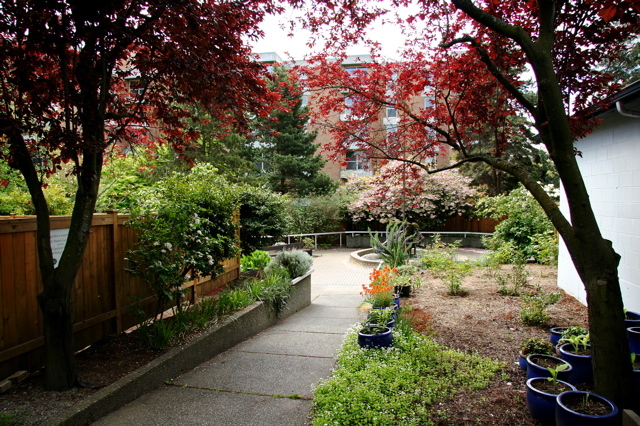 Wandering through the Danny Woo International District Community Garden, with its many levels of terraced gardens, feels a bit like walking through a densely populated city in Asia. Each gardener takes his or her plot very seriously, with each person's area marked with elaborate fence fixtures. Within these secret paths, you will witness a culture of elderly folks that are sweet and inviting. In the height of the season, you may have the opportunity to try a veggie you've never seen before offered by a grandmother wearing a patterned gardening bonnet. The impressive children’s garden reminded me that this multi-generational gardening effort, happening right next to the freeway within a small urban space, makes a powerful statement about the importance of homegrown food. A wonderful photo essay is available here. Directly across the street from the garden entrance, is the historic Panama Hotel. This café is also a museum, complete with a glass floor viewing area that explains how the internment camps affected this community (and possibly the lives of some of these gardeners). Here you can find a bite to eat, authentic macha tea and a little play area with a dollhouse. Have you ever wondered how Seattle's network of community gardens — called the P-Patch program — got started? Then you must visit the original P-Patch, Picardo Farm, located in northeast Seattle's Wedgwood neighborhood. Forty years ago, a group of neighborhood activists and a Seattle City Council member helped develop a program to let fallow farmland in the city remain farmland. The P-Patch Community Gardening Program was born, with the “P” commemorating the Picardo Family, whose farm became the first P-Patch. 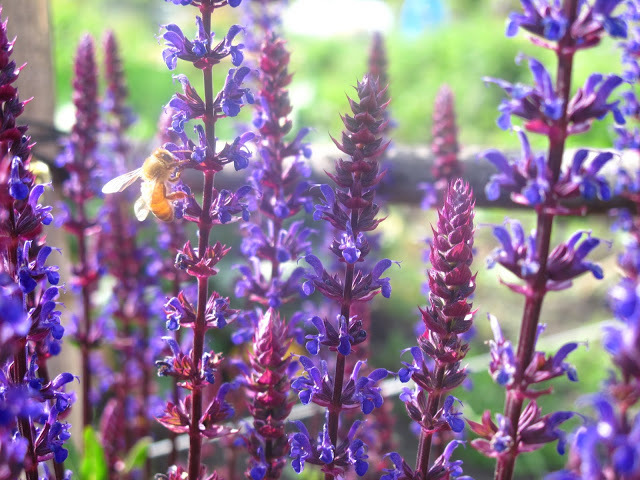 Picardo was the first of more than 80 smaller gardens that have bloomed since then, sprinkled throughout Seattle's neighborhoods. Picardo Farm covers an expansive 98,000 square feet. In the southeast corner of the garden you'll find the children's garden, with several wonderful components including an immense climbing bean tepee. 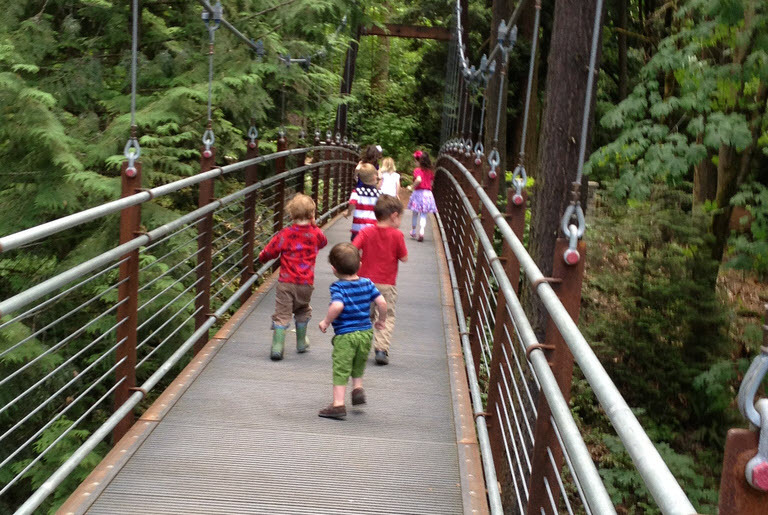 I have never been to a more welcoming garden for children than Kruckeberg Botanic Garden in Shoreline. 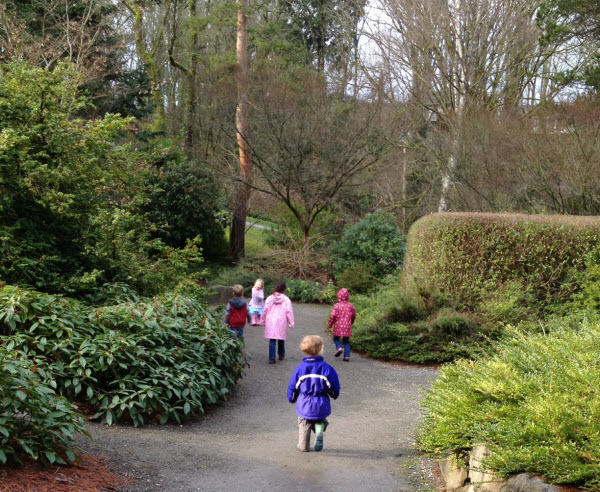 Through an enchanting self-guided tour, my children thoroughly enjoyed finding treasures throughout even as I was learning about the plants and trees. 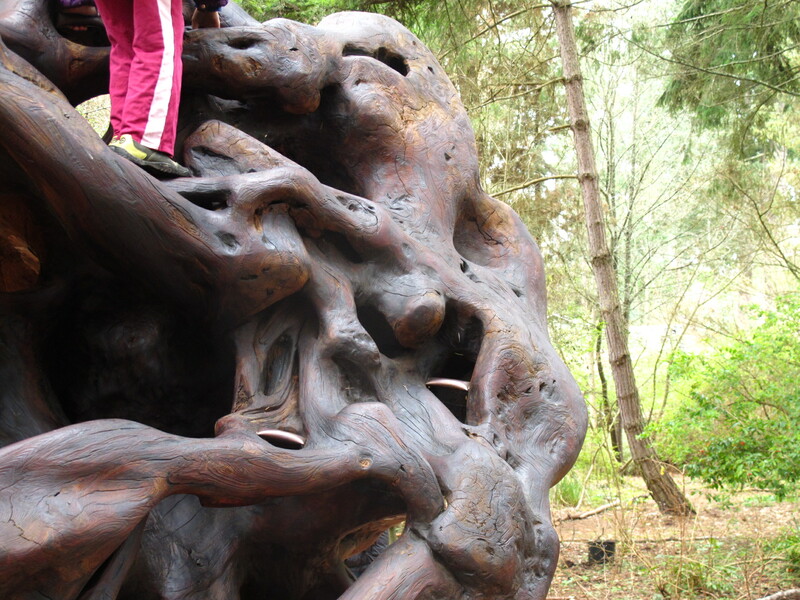 Hidden in the woods there is a stunning driftwood climbing structure that captivated all of us. 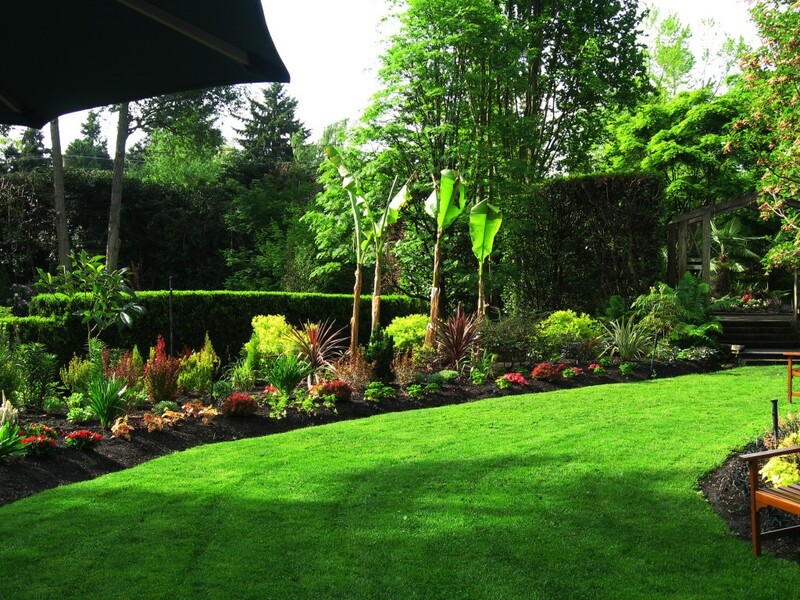 This intimate garden is like an exceptional backyard collection of exotic and rare plants suited to our Northwest climate. However, each of these plants is labeled and available for purchase in the nursery. My daughter described the garden as “a plant store with a big park in the back.” Simply stated, it’s delightfully true. 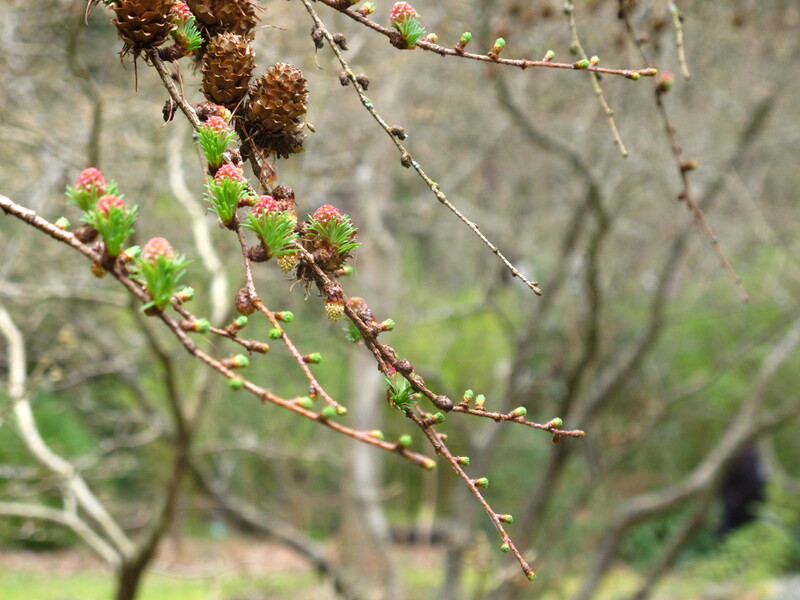 Look for wonderful seasonal events for families such as leprechaun hunts in March and natural Easter egg hunts in April. Tip: Kruckeberg's Garden Tots program takes place Fridays in summer. The nursery's wildlife and habitat plant sale takes place June 24–26. The heart of Highline SeaTac Botanical Garden is Elda Behm's Paradise Garden. Elda Behm was an award-winning landscape designer, horticulturist and flower arranger. Her original garden was condemned to make way for the Port of Seattle's third runway expansion at SeaTac airport. It was saved and re-created by relocating thousands of Elda’s plants that she had grown from seeds and cuttings to the new Highline SeaTac Botanical Garden. Within this paradise you will find a series of water features including ponds and four waterfalls that empty into a 100-foot stream. Visit the garden in May to see large bearded irises and rhododendrons in full bloom. There are great photos of the garden at Postcards from the Trail blog. 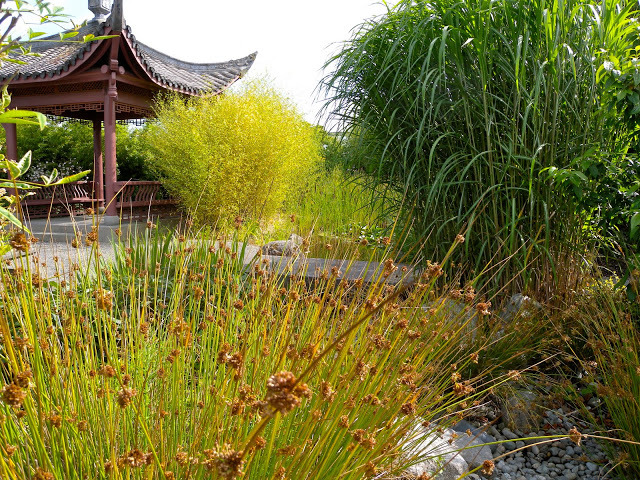 Often called the best-kept secret of West Seattle, the Seattle Chinese Garden employs the four elements of water, stone, plants and architecture to create a spectacular landscape. Within this beautiful garden on a hilltop, families are surrounded by ancient symbolism. The bones of the earth are seen in stone bridges and rocky gorges. The blood of the earth is suggested by water, which infuses the garden with vital, rejuvenating qi. As my little boy and girl ran to find an enormous sculpture of a carp, I imagined the forces of yin and yang interacting in dynamic harmony, just like them. If you need a rest, take a break in the teahouse. I think of Chongqing, the garden’s sister city 6,000 miles away, and imagine a family sitting in a garden just like this. Upon entry, pick up a self-guided tour brochure and plant guide. 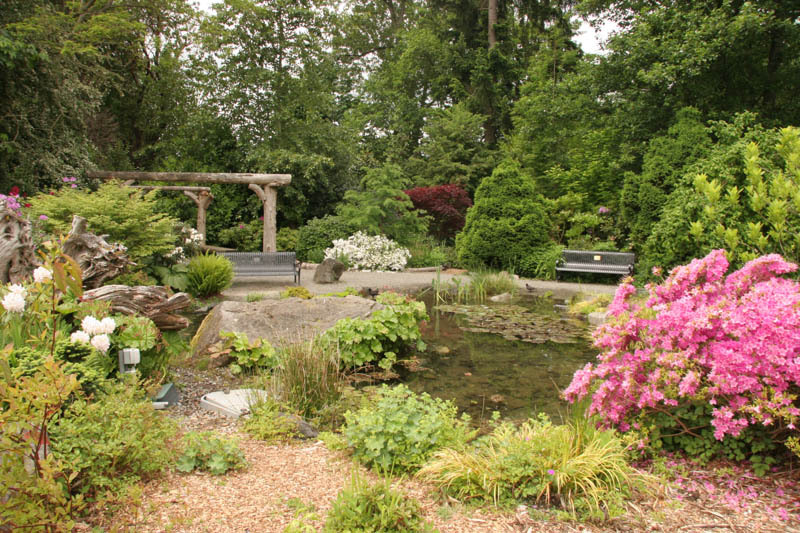 The South Seattle Community College's Arboretum is adjacent to the Chinese Garden and is free to the public. Kubota Garden — a wild, 20-acre Japanese garden near Rainier Beach that was designated a historical landmark in 1981 — isn't quite the secret garden it once was. It's now counted as a favorite backdrop for family and couple photos. But there are still many days when you can have the lovely winding paths, ponds, waterfalls and hidden red bridges all to yourself. Kids get almost magically pulled along by the paths that slope downhill from the entrance, and it's just big enough that they'll feel like they're getting a little lost. It's delightful in all seasons; offering blooms in spring, shade in summer, color in fall, and opportunities to skitter rocks across icy ponds in the winter. 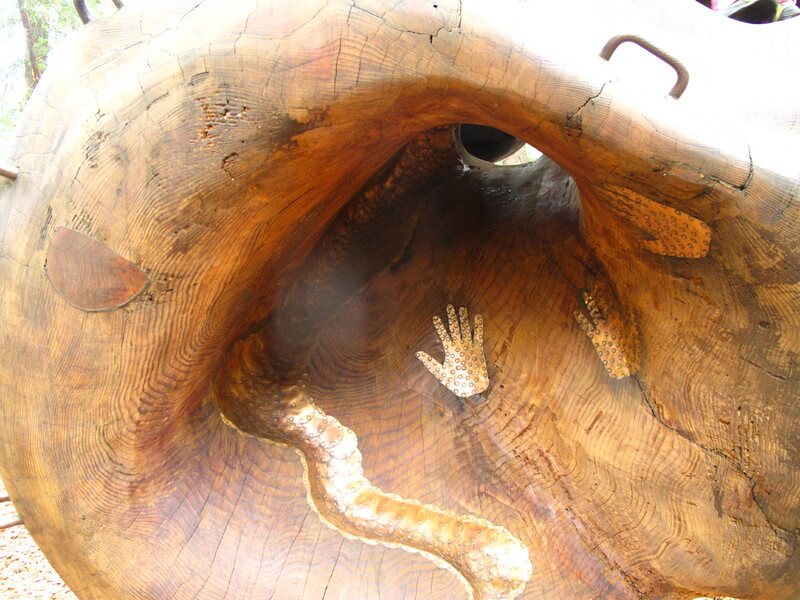 Tip: Kubota Garden Foundation offers free public tours one Saturday a month. 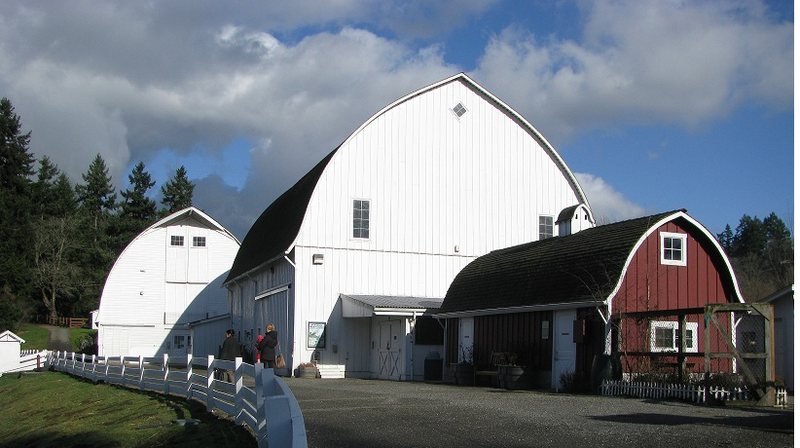 If your child needs a dose of farm animal fun mixed in with your garden explorations then Kelsey Creek Farm Park in Bellevue is the place to visit. It’s a quiet and secluded home to ponies, sheep, goats, chickens, pigs and more. The historic farm dates from the 1930s. Classes offer children hands-on opportunities to experience farm life. Children actively participate in animal care and feeding, barn chores, pony rides, baking and gardening throughout the school year (and in the summer). Curriculum is integrated with seasonal themes, art and crafts, stories and games. Also not exactly a secret, Bellevue Botanical Garden's 20 acres of paths and innovative gardens is the ideal first hike for a preschooler, from a "Lost Meadow" trail through wetlands and woodlands to a rock garden to — the ultimate adventure for the short set — a one-third-mile nature trail that crosses a ravine via a 150-foot suspension bridge. Also don't miss a meditative walk through the Yao Garden. Pick up a map of trails at the new Aaron Education Visitor Center. Although I have yet to visit Ethel L. Dupar’s Fragrant Garden for the blind and deaf-blind, it sounds like an amazing place. It is filled with more than 60 types of fragrant plants that appeal to the senses of smell and touch. I can imagine my children and I sniffing and touching at will. I’m thankful for this garden as it provides different avenues through which to experience the beauty of nature. Hours: By appointment only; contact Helen Weber at 206-281-7870 to arrange. Tours are free though donations are appreciated. It sounds funny, but I want to go to PowellsWood Garden to see the hedges. I am intrigued by its beautiful meld of fern and rhododendron borders along with conifer forest. As noted on its website, the garden is a series of exquisite hedges that define several distinct garden rooms. The woodland shade gardens in particular demonstrate how private landowners can use natural land features to develop stunning landscapes. Hours: Open April 1–Oct. 31, Tuesday–Saturday, 10 a.m.–3 p.m. This article was originally written in 2014 and updated in May, 2017. Jennifer made a promise to herself within this often wild and harried experience of being at home with small children: She created lifelines in the form of writing, painting and photography. She never realized her art degree would be the thing that saved her as a mom. Read her blog here. She is also the wife of a Pike Place fishmonger.